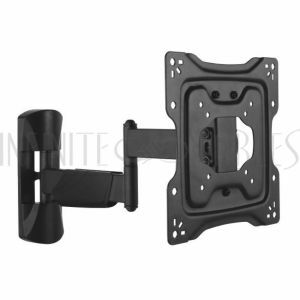 This swivel and tilting wall mount bracket is designed to hold most 23 inch to 42 inch flat screen displays with a maximum VESA hole pattern of 200x200. 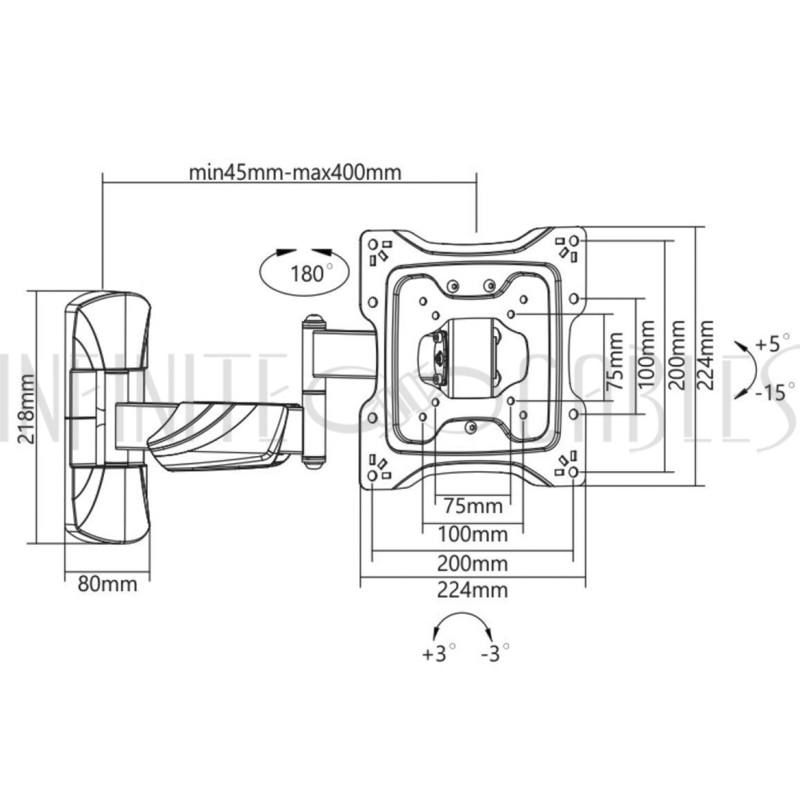 It offers a up to a -15° to +5° tilt and a -90° to +90° swivel. It can be used in both residential and commercial environments. The tilt and swivel motion of the mount allows you to position your TV to the best viewing angle, and provide the maximum viewing experience. 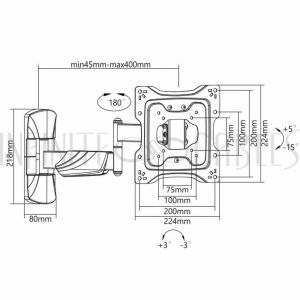 This mount can be swivel to the left or right direction at 90° - and tilted at a range of -15° to +5°. 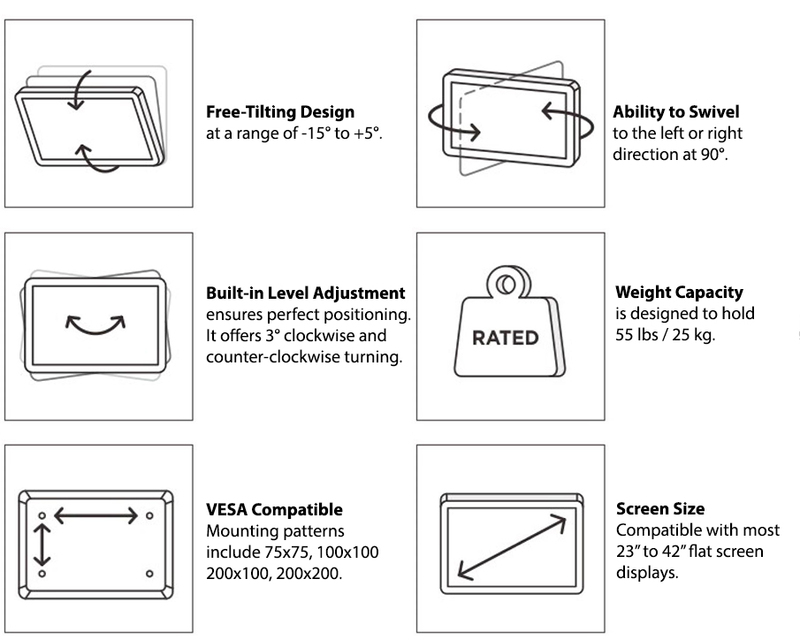 The built-in level adjustment ensures perfect positioning for a pleasurable viewing experience. It offers 3° clockwise and counter-clockwise turning to ensure a perfect level. 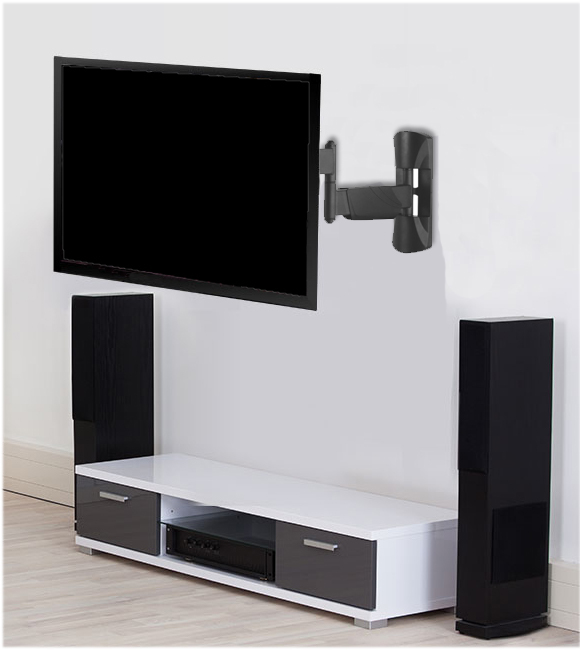 The pre-assembled arm comes with integrated cable management and decorative covers to provide an elegant and tidy look. This allows easy maintenance of cables and accessories.